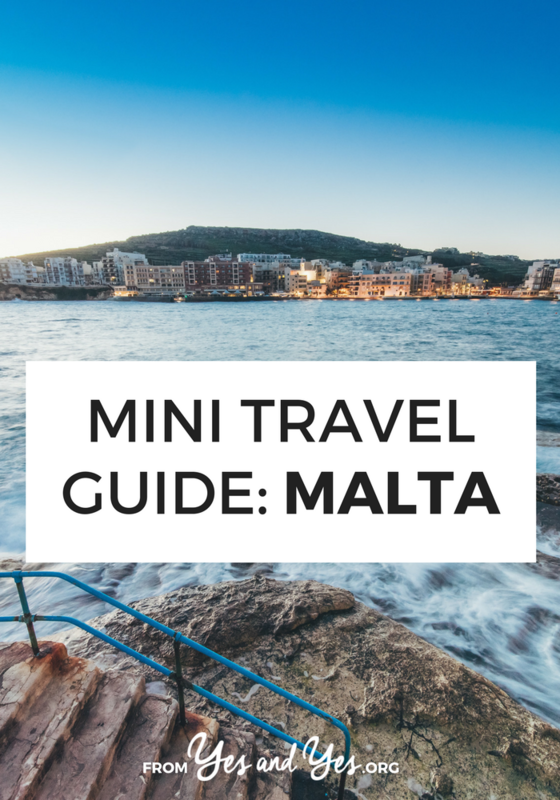 Looking for a travel guide to Malta? Reading to visit an English-speaking country with great beaches, amazing food, and a favorable exchange rate? Me, too! 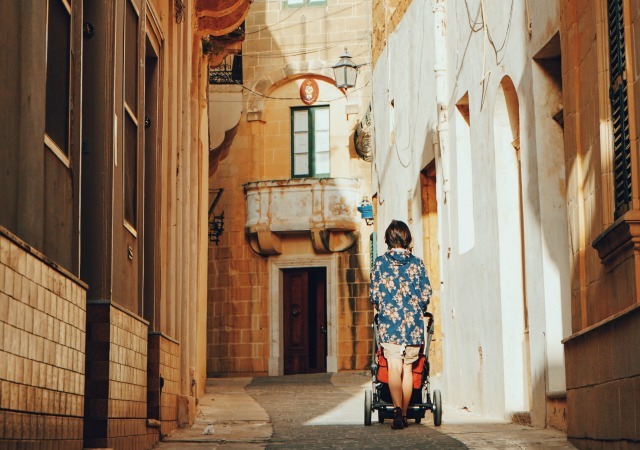 Today Afef, a Malta native, is sharing her best Malta travel tips – what to do, where to go, and how to do it all safely, cheaply, and respectfully! Malta may be one of the smallest countries, but it’s the seventh most densely populated country in the world, so prepare yourself to meet and greet people! The Maltese archipelago is actually made up of 3 islands – Malta (the largest), Gozo and Comino. Maltese and English are both official languages in Malta and the vast majority of the population can speak English and are always willing to help you with directions if you’re lost! Being such a small country Malta unfortunately doesn’t vary much geographically (there are no mountains apart from some low rolling hills) – but it offers some of the best and cleanest beaches and great nightlife with lots to do around. On the bright side of this – you can easily travel from one tip to the other of the island in under 45 minutes! Grab your sunscreen and a hat as it can get really hot in the summer season – temperatures nearing 40 degrees Celsius are not a rarity! Fortunately, Malta has plenty of beaches where you can cool down. Whether you want to try a sandy beach, a rocky beach, a shallow beach or deep sea water – you’re set! You can choose to visit all the types of beaches in a day if you like! Gozo and Comino also offer a variety of amazing beaches – most popular is the Blue Lagoon in Comino where the water is a clear, aquamarine shade found nowhere else in the islands. These markets are a great way to score a bargain. There are various markets around the island on various days, the most famous is the Sunday market at Marsaxlokk. If you love fish I suggest you visit this market to purchase the freshest catch of the day (and if you love bingo – there’s a huge open air game organized each Sunday afternoon!). If you prefer traditional shopping, don’t worry – we Maltese love shopping. The capital of Valletta, the towns of Sliema, Bugibba, and many other towns all have a prominent shopping centre containing everything from luxury brands to even cheapo ones – your wallet is not safe! Maltese people love love love to go out – you can barely find anyone at home on a Saturday night! There are also a lot of bars and discos strewn around the island – but the leader is Paceville which is the country’s number one nightlife spot. Imagine – a whole little town made up of nothing but bars, discos and nightclubs and no matter what you’re into (rock music, commercial music, rap and hip hop, karaoke, salsa bars or even gentlemens’ clubs) you’re bound to find it here. There are also huge parties and gigs happening all year long. Just make sure you’re over 17 years old and have an ID card on you before trying to get into clubs – you don’t want to get into any trouble, right? If you’re in the country in summer then you must visit a traditional Maltese Festa! A Festa is held to celebrate the patron saint of a town/village. Even if you’re not religious, you can still enjoy yourself watching colourful fireworks (both in the sky and on land) and eating at traditional food stalls. You can attend the traditional “Sunday Morning Marc” where people gather, slather themselves in their patron saint’s colours, get drunk on beer, and run around the streets in a group accompanied by a traditional marching band. Sometimes they pick fights with the competitor groups! Gozo, is the second largest island of the archipelago. It can be reached by ferry from the northern most tip of Malta. It is very different from urbanized Malta: it is much less densely populated and most of it is uninhibited, covered in countryside. There you’ll feel like you’ve gone back in time! 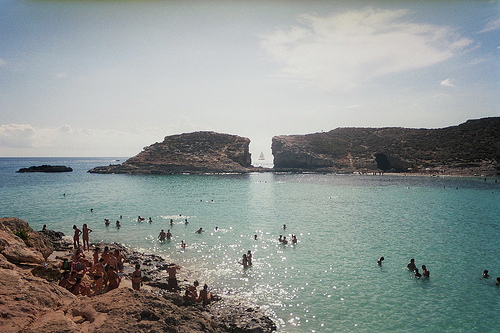 Comino is a must visit summer destination. You can walk around the whole island in less than 20 minutes and there is only one family living on it! The only way to arrive on the island is by boat. You can book a boat trip which will guide you along the coast of this small island and show you all the scenery. The vast majority of these boat trips are very cheap and last a whole day (you will go swimming in the Blue Lagoon, learn about the island’s history and go snorkeling!). Malta offers some of the best dive sites! You can visit a WWII wreck, poke around inside a sunken ship and look at the most diverse fish fauna the Mediterranean has to offer. Don’t worry if you don’t have a diving license – there are a lot of diving schools around the island who can take you on your first try dive. 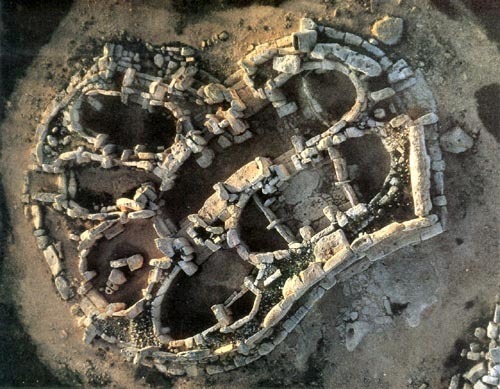 If you’re interested in historical artifacts then Malta is most definitely the place for you! You can visit the world renowned prehistoric temples, Roman remains, Arabic architecture, The Medieval Silent City of Mdina, and of course, the capital which is a whole monument in itself. Maltese people, like our Italian brothers and sisters love to eat and know good food! Some of the traditional plates include: rabbit, gbejniet (Gozo cheeselets), octopus in garlic, Maltese bread and galletti amongst many other dishes. You can easily find these dishes incorporated in almost all restaurants throughout the islands. In summer, you can also grab some sausages, a barbecue set and head to the beach! The below foods are the most sought after! This is a date filled snack which is usually fried. Stands selling imqaret can be found in the capital and at the street markets (and also some pastizzerias sell this tasty dessert as well). The vast majority of the population is very religious, so you should not even think of going into a church with a sleeveless top or a pair of short shorts! If you get caught without “decent church garments” you can find a little basket or usually a nice lady near the entrance of the church handing you out shawls and long skirts so as to make you decent enough for your visit. Just make sure you return them when you finish snapping photos! Malta relies heavily on tourism, so it offers a lot of variety when it comes to choosing places to stay. Airbnb is always cheaper and more authentic than a hotel and let’s you support local families. Here’s a three-bedroom apartment in Gozo for $64 a night and here’s a private room with a pool for $24 a night. If you’ve never used Airbnb before, here’s $40 towards your first booking! Any Malta travel tips to share? Questions for Afef? That food looks amazing, great post! Eeep! I felt a little surge of pride for my homeland reading this! I concur with all of this, especially the ricotta pastizzi, which I miss so much now that I've left Malta. If you do visit a pastizzeria in Malta, be sure to try a slice of their pizza. OH MY GOD. It's a bread crust, topped with loads of olives and cheese. We moved to Canada from Malta almost sixty years ago. I have only been back once when I was 21. 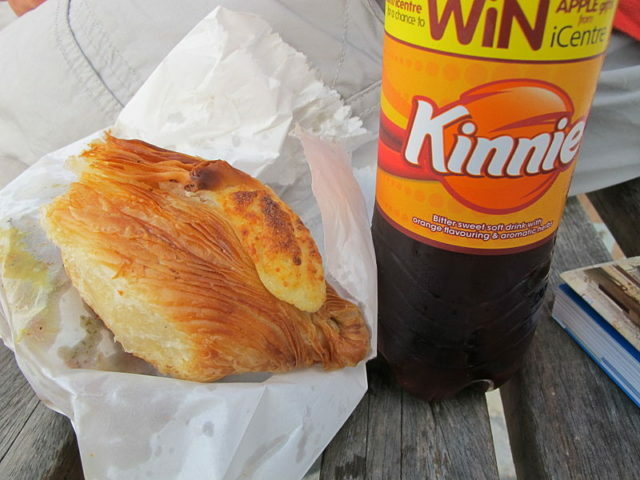 I still love it and am still proud to be Maltese. Wish I could afford to go visit. It would be so great to show it to my children and grand children. Thank you for the article and pictures, reminded me how much I love it and wish to be there again. I would love to post it on my wall in facebook … how do I do that? Hi can I ask where that colourful village is? 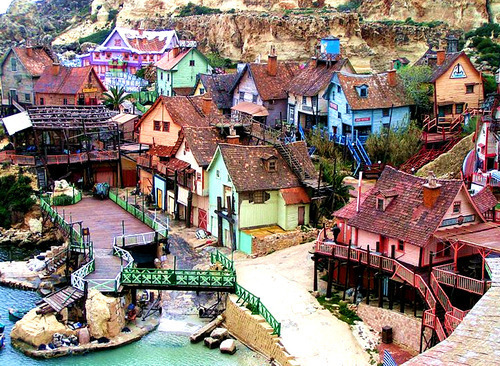 I was in Malta earlier this year – its lovely but I missed that village.